Why is prescription drug abuse so dangerous?. Harbor Hall. Why is prescription drug abuse so dangerous? Prescription painkillers are powerful drugs. They interfere with the transmission of nerve signals that perceive pain. They also produce a euphoric effect that is associated with a “high” feeling. The most powerful of these prescription drugs are called opioids. Some common names of prescription opioids are Hydrocodone, Oxycodone, Oxycontin, Lorcet, Lortab, Percocet, Vicodin. They are all narcotics and highly addictive. 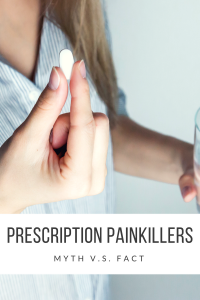 Use of prescription painkillers can lead to physical dependence (addiction). The body adapts to the presence of the chemical and if a person stops taking the drug abruptly, withdrawal symptoms occur. Additionally, the body can build up a tolerance to the drug, meaning that it takes more of the chemical to achieve the desired effects. Many heroin users didn’t start with heroin, their addiction journey started with prescription narcotics. More often than not, a person addicted to prescription opiates switch to heroin because heroin is cheaper and easier to get. Last year at Harbor Hall 37.34% of admissions identified Prescription Opiates as the primary drug of choice with 12.65% Heroin as the primary drug of choice. Alcohol fell to number 2 for the first time ever at 37% of all admissions. Fact: There are regulations that controls who can prescribe these drugs and when. The reason is to protect the public because they are not always safe to use. Fact: By sharing a medication prescribed for someone else, you may actually be worsening a health condition. Also, it is illegal to take medications prescribed for someone else. Fact: It is important to know that even a single use can be dangerous. Use can lead to physical dependence and addiction. Fact: The physician prescribes the right amount to help you. Taking more can increase the potential for side effects and can be dangerous even deadly. The bottom line is that prescription opiate addiction is rising at an alarming rate. Always keep your prescription narcotics under lock and key. Do not keep them where children and teens can get at them. Talk to your teens about prescription drug abuse.